I happened to stumble into the cheerleader meeting at the end of lunch today (just trying to warm up via the first open room after being outside in the cold). 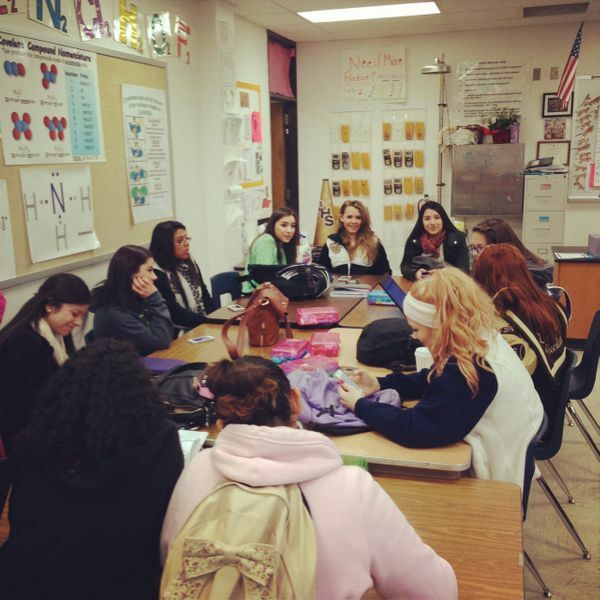 Chemistry teacher (and head cheer coach) Ms. King did a great job pushing the agenda forward and getting the girls to make some commitments to attend several upcoming athletic events. I look forward to seeing the teamwork in action.